Hello my friends! It’s officially here – the season of parties and shopping and plays, oh my! I have found a few holiday performances that just may push the envelope! 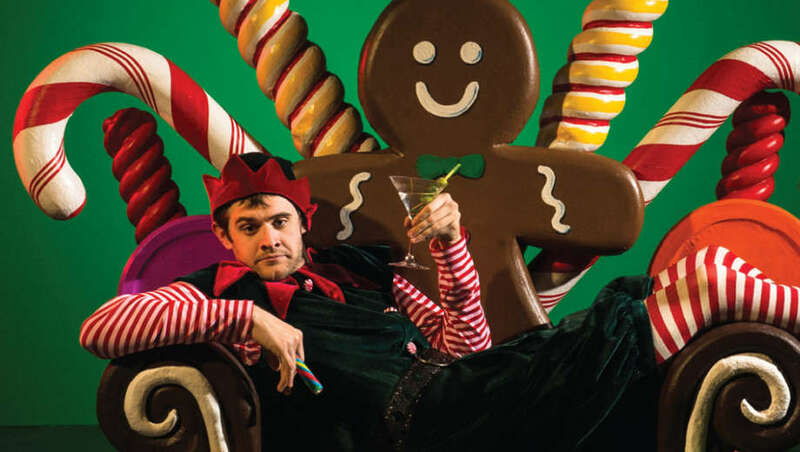 Santaland Diaries and The Hard Nut will send you into a holiday haze of laughter. I would also encourage you to get out tomorrow and shop locally as it is Small Business Saturday – let’s support our small boutiques. I also found a specially curated shopping event featuring female artists only. 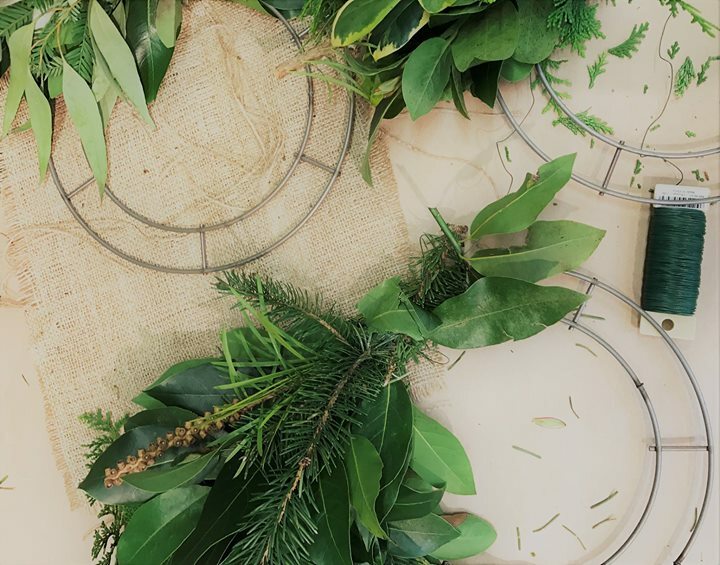 If you want to unleash your own creativity, wreath and wine night is back at the Botanical Garden. Happy Holidayin! David Sedaris is always a laugh a second and his one-man Christmas show may not leave you time to breathe. As he says, “Christmas looks a whole lot different when your hairy man legs are being compressed by red and white striped tights.” The Santaland Diaries first made waves as a story read on-air on NPR in 1992. The bestselling humor writer’s hilarious account of one excruciating holiday season working as a Macy’s Christmas elf has since become a one-man production that is, for some of us, a holiday tradition. This one-man show cycles through 50 characters, from stressed out sales clerks to screaming kids. For those who like a little spice with their Christmas sugar, this tale of mass marketing, drunken Santas and the general insanity that takes hold during the holidays is a sardonic and unpredictable wild ride filled with sarcasm. Sedaris’ words mercilessly cut through the Christmas spirit to point out the craziness humans inflict on themselves and others during the holidays. See The Santaland Diaries at The Lohman Theatre in Los Altos Hills. Discount tickets via Goldstar. We all know the classic tale of Clara and Fritz and the nutcracker, but the Mark Morris Dance Group puts a hilarious spin on the classic. A lampoon that mocks the 19th century Russian made Nutcracker and does it with humor and wit. In Morris’ hands, elegant Snow Flakes morph into bare-bellied personifications of Soft-Swirl ice cream cones, Flowers look plucked out of a Busby Berkeley routine, and the typically staid Stahlbaum family at the center of the tale are the post-WWII generation and their boomer children with lousy values and even worse tastes, but every bit as endearing and dreadful as anyone’s extended family. This retro-modern take on the beloved tale is awash with sparkling costumes and performances to match, and it may just become your new holiday tradition. Zellerbach Hall, Berkeley. Get the details. My fellow Tomatoes, I am letting you in on a really cool find. There is an organization called Style Lounge in our fair city. It promotes and supports the growth of emerging designers, artists and those with passion for their creations through public shopping events. The best part is that Style Lounge is a woman owned and operated business with a mission to give back to the community. On Saturday December 9th (I wanted to give you time to put this on your calendar!) they will be presenting Women x Made. 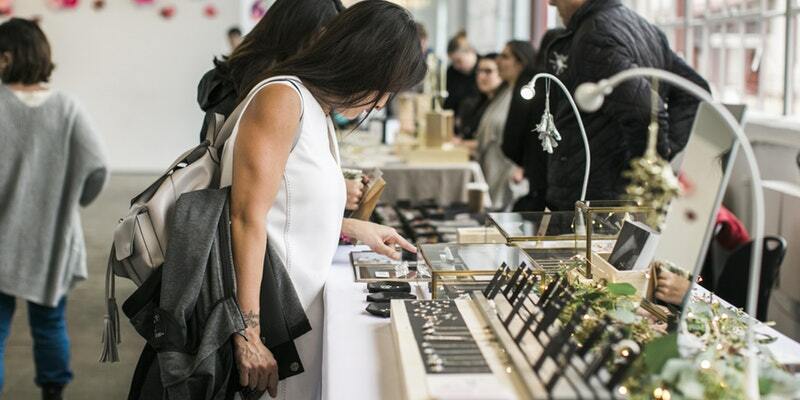 This highly curated shopping event features female vendors selling everything from apparel, jewelry, artisanal food, art, home goods and more. This event will take place in the historic Women’s Building in San Francisco. Did you even know there was a women’s building? Me either. Founded in 1971, The Women’s Building is a women-led community space that advocates self-determination, gender equality and social justice. Guided by the belief that all women and girls have the right to safe, joyous and creative lives. Here is your chance to support small businesses, women artists and give back to the community. You will be entertained by music; there are tasty refreshments, beauty treatments, gift bags and more. Saturday December 9th, 12 – 6 p.m. Women’s Building 3543 18th St. #8. Get the details. One of my favorite places, the San Francisco Botanical Gardens is hosting two evenings where you get to be creative while you sip fermented grapes (wine!). Gather your fellow Tomatoes and create a holiday wreath from some of the unique and unusual materials found in the Botanical Garden. 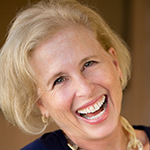 The workshop instructor is Baylor Chapman, whose company is Lila B. Design. You’ve seen this great tomato’s creations in many publications including Sunset and, Brides Magazine You get a wire frame, ribbons and greens and you can bring your own ornaments to enhance. Your ticket price gets you two servings of wine! Get the details.